Today I have the honour of presenting yet another fabulous woman. 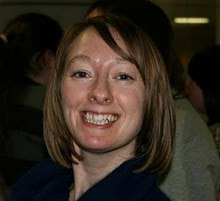 Becky is not only a lovely person, but she's also a cool teen librarian and the awesome blogger behind The Bookette which brings us all great reviews and, of course, the British Books Challenge. I really love The Bookette, you really must check it out if you don't read it already. I am 28. I live near London. I am children’s librarian. I am lucky enough to be married to a daft and wonderful man. Growing up my role model was my granddad. I adored him like no other pretty much from the day I was born. I would only ever let my mum or my granddad hold me as a baby. My granddad was such a kind, loving person and extremely loyal. He was also very creative and he ignited the desire in me to want to be a writer. My mum. No doubt about it. She is the strongest person I know. She is also completely selfless and giving. I don’t know how she does it. I also look up to my sister, which I didn’t in my teens. My sister showed me that you can break through the barrier of insecurities which stem from my dad leaving us. She is incredibly strong too. I am lucky to have two people like them in my life to guide me. Anything and everything. A vet was top of the list for a while. Goodness knows why. I am afraid of the sight of blood and needles. I also wanted to be a teacher. I used to make my nan and granddad play schools. My A Level English Literature teacher got me fired up about literature in a way no other teacher has. 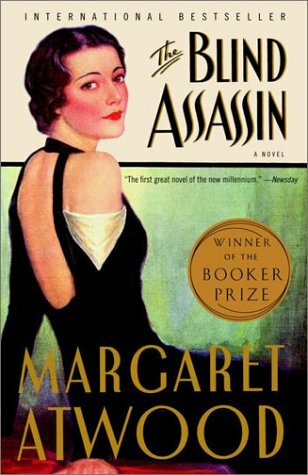 In fact years later I decided to read Margaret Atwood’s Blind Assassin simply because she mentioned one day that she was reading it. I wish I kept a note of every book she mentioned. Hindsight is a wonderful thing. There is also my mentor Laura, who taught me everything I know about being a children’s librarian. The woman is a tornado. Honestly, her energy is a sight to behold and her passion is inspiring. She may not have quite made me the feminist she would have liked but I am honoured to have been trained by such an intelligent, assertive woman. I think this probably changes quite often. But right now I love Emily from Jaclyn Moriarty’s Ashbury High novels. She makes me laugh so much. She is always getting words muddled and yet she is dynamic and loyal. I read about her and I can’t help but wish I was one of her friends. I dread to remember. Ummm... I would say I suffered from tunnel vision. I didn’t really open my eyes to things that were going on around me. I just wanted to be with my friends. I expect this was a coping mechanism to a certain extent. I wasn’t all bad though. I have a much younger brother and while my mum was at her second job, I looked after him. At school, I was a diligent student, a grafter. I don’t think I was gifted with high intelligence so anywhere I got, it was through hard work. I think that’s something to be proud of. I always did my homework and I also always used to get a note to get out of PE. Urgh... I hated it. I guess that is a coping mechanism too. Go and speak to your sister. She needs you and stop being so self-centred. Yikes! I have no idea. I don’t really read about women. Do I have concerns in my adult life? Yes. I’ll list them: financial security, the rise of the BNP, war and conflict, the poverty cycle, the consumer culture, the health of my family, pensions and investments. There are so many things that concern me and I hardly ever talk about them. I certainly don’t read about them. I read to escape. I listen to the news everyday and that is enough. Thanks so much for having me. You certainly got me thinking with these questions. Thank YOU so much Becky for such wonderful answers to these questions! 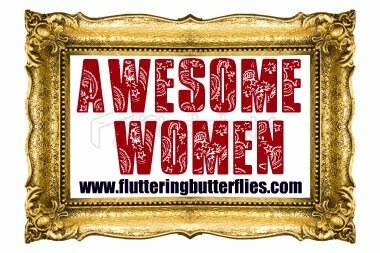 Please do visit Becky at her blog The Bookette and if you'd like to take part in my Awesome Women feature, visit this page for more information. Fab interview ladies. I think we all read to escape those issues that haunt us all. Life in the UK isn't exactly fun at the moment. Aww I love Becky so much!! Very interesting interview and it definitely got me thinking! Becky *is* awesome. This interview has really made me think about how many worries everyone has, but how infrequently we actually talk about them. Fab interview, guys. Wonderful answers Becky, thank you so much for taking part! I think it was your gushing reviews of Jaclyn Moriarty's books which made me desperate to read them, and now I have two on my shelves waiting for me. It won't be long! You are all so sweet. It was weird for me to read this back. Kind of emotional. I love my friends too. 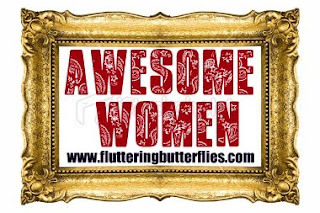 They are the awesome women who I met through my blogging life. Clover, I still haven't properly got to know you! Hurray for Becky! 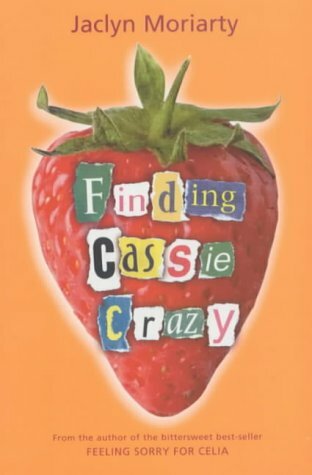 Emily from the Ashbury High novels is on of my favourite characters too.